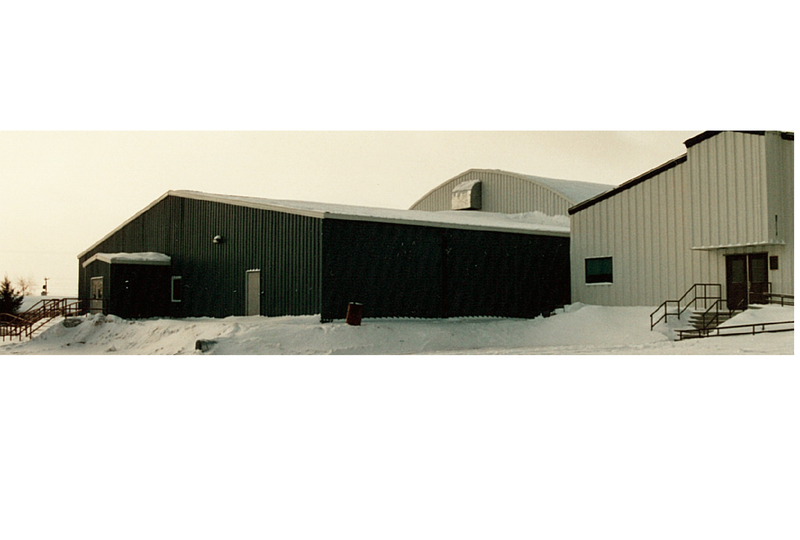 A huge retrofitted quonset-type structure at the back of the facility, houses the actual ice rink while the new lobby and concession booth area is a rigid frame structure. 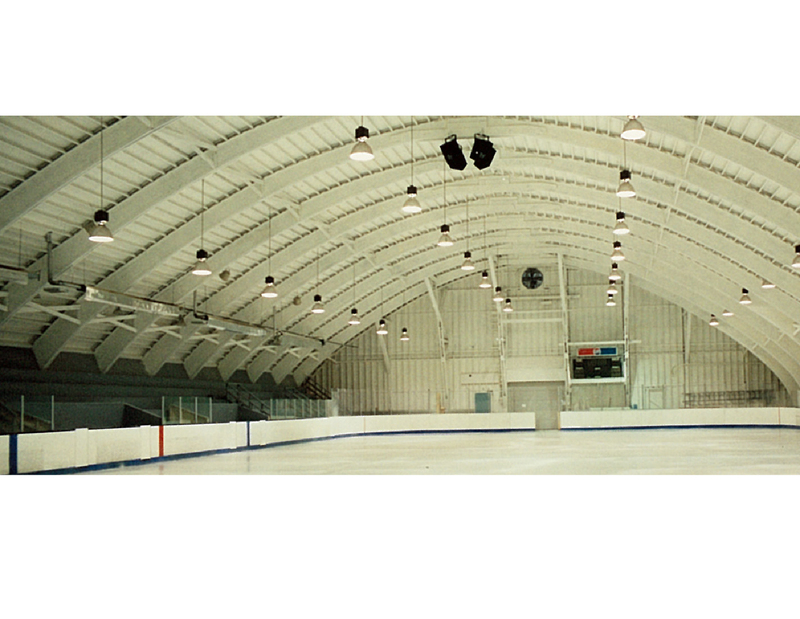 Light bounces between the white ice surface and bright, white-painted ceiling and quonset beams. This arena is a modern facility with a standard size ice surface, heated seating area, five dressing rooms, and large lobby with a concession booth. Another small lean-too structure at the back of the ice rink is home for the zamboni.